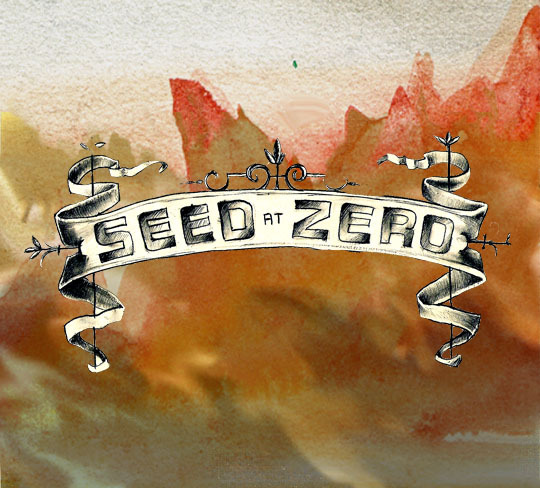 Triple Pop is proud to present the debut album from Seed-at-Zero, which is now available for pre-order from iTunes. Seed-at-Zero is the alter-ego of Whitney Mower, a 23 year-old Utah-born musician and singer. She’s been writing songs ever since, inspired by artists like Sun Kill Moon, Kate Bush, Jason Molina, and Radiohead. The self-titled debut album was made with the help of her closest friends in Salt Lake City and Provo, Utah. The songs are dedicated to her mother Kathryn Jordan, an extraordinary dancer and singer, who died in 2009. The digital version on iTunes also features two bonus tracks: “How Your Mouth” (Original Demo) and “It Ain’t Me Babe” (Cover of Bob Dylan).